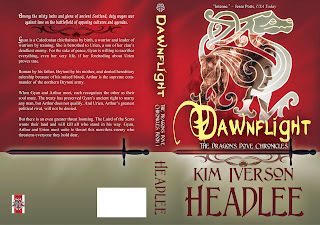 Arthur is not a king—yet—at this point in his career as I describe it in The Dragon's Dove Chronicles. He is the supreme commander of the army charged with defending the northern Brytoni clans, and as such he remains answerable to all the chieftains. This political wrinkle, even more so than the great military burden, has caused Arthur to develop a fair measure of self discipline and caution in spite of the fact that he's only in his early twenties. He has learned to navigate council meetings by observing from the background, speaking only when spoken to, and letting the politicians duke things out among themselves. However, Arthur remains loyal to family above all, even family members with whom he's not terribly close, such as his younger sister Morghe (a.k.a. Morgan le Fay). In today's excerpt from Raging Sea, this trait shines forth in full force. Every head in the hall turned toward Arthur at his outburst. His youngest sister was elegantly attired in her husband’s Clan Moray black with gold trim, which lent stark contrast to the white bandage binding her shoulder and pinning her arm to her chest. He strode to the bench where she was seated, ignoring the angry stares garnered by his interruption. Urien and his advisor Accolon were standing to either side of her. Neither man looked pleased at Arthur’s approach. Arthur ignored them too and went to one knee at Morghe’s feet, clasping the hand attached to her uninjured arm. 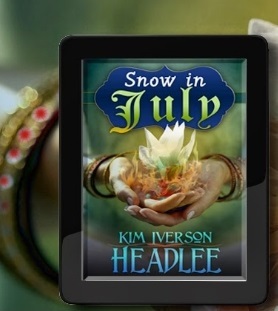 Enter this great giveaway for Snow in July! 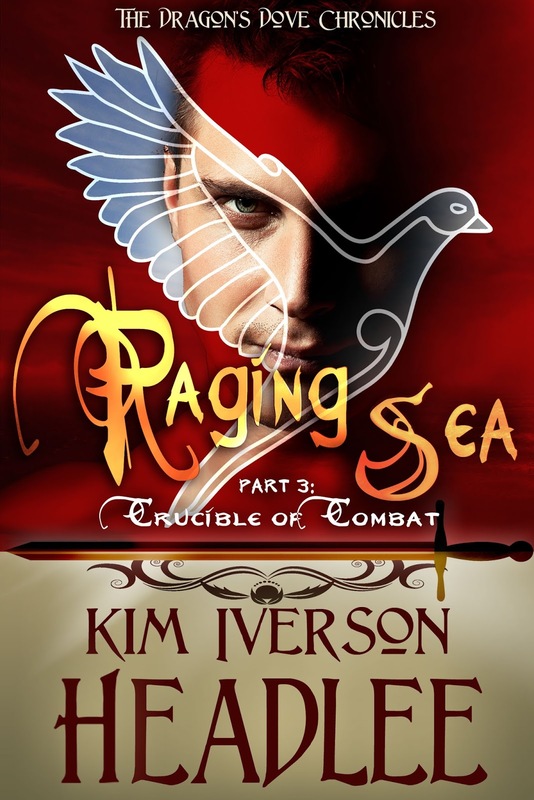 LAST DAY to enter this giveaway for an e-copy of Raging Sea: Reckonings! 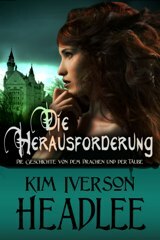 … and each action this month is good for one chance to win a copy of any of Kim's e-books. Please enter often, and good luck! 99 cents now through 7/31/16! If I had written this article six months ago, I would have begun with the advice to release a new e-book on Kindle Unlimited and keep it exclusively with Amazon for at least a year prior to releasing it on other platforms such as Nook Press and iTunes. Before I launch into the horror stories, let me start with the basics. Amazon, with its proprietary e-reader device the Kindle in all its many flavors, has become the largest distributor of e-books on the planet. It also pays the lowest royalty rates to authors under most circumstances, a mere 35%, while forcing authors and publishers into a very narrow pricing window ($2.99–$9.99) in order to earn that coveted 70% royalty payout. Oh and by the way, if you have discounted your title to less than $2.99, that kicks you back into the 35% payout rate for the week, even on sales that were made at $2.99 prior to the price reduction. Don't believe me? Experiment with your book's pricing, and then leave a comment here if you observe different results. Authors who have enrolled their titles in Kindle Select (a.k.a. Kindle Unlimited to readers) have it even worse now that Amazon has gone to a per-page-read model for payments. As of this writing, the typical payout is about $0.003 (three tenths of a penny) per reported page read. This means that an author needs to have a customer read at least 120 pages of an e-book priced at 99 cents in order to earn the same royalty amount (at the 35% payout rate) as a regular paid download. What? You've published a novella on Kindle Unlimited that Amazon has deemed is less than 120 pages? Tough luck, pal. Write something longer next time. While there are short-term advantages to releasing a book via Kindle Unlimited, such as the ability to set up five free promotional days out of every 90, in the long run you are not doing yourself or your book any favors by adhering to Amazon exclusivity. And you expose yourself to the risk of having your account shut down without warning or recourse (keep reading to get to those horror stories). Nook (nookpress.com). The royalty payout is 40% for books priced at less than $2.99, at which point the payout rate jumps to 65%. They also follow Amazon's example and reduce the payout rate to 40% for books priced at more than $9.99. Kobo (writinglife.kobobooks.com). The royalty payout is 45% for books priced at $2.98 or less; otherwise, authors earn a 70% payout rate, even for titles priced higher than $9.99. Google Play (play.google.com/books/publish). Per their overview, the author keeps "most" (in theory, more than 50%) of what is earned in download sales. I could not find any specific royalty payout schedule, and I have no sales data for this platform since I deactivated my books there in 2015, after a brief trial period. I did, however, find a royalty payout rate of 52% reported via third-party distributor Pronoun. Apple (iTunes/iBooks). The vendor account for this retailer is easiest to manage if you have Apple equipment; i.e., a Mac or iPad. According to Pronoun, the royalty payout rate is 70% regardless of the book's price. Draft2Digital (draft2digital.com). This is my third-party distributor of choice for platforms such as iTunes, Scribd, and others. The royalty payout is 60% for all books regardless of price, even to Nook and Kobo platforms. Smashwords (smashwords.com). The royalty payout varies by book's price and the origin of the sale (affiliate, non-affiliate, and Premium Catalog retailers). The Premium Catalog retailer category earns 60% payout regardless of the book's price. For a book priced at $0.99, the payout is 47–60%, with affiliate sales earning the lowest rate and Premium Catalog retail sales earning the highest. At $1.99, the payout rate is 58–70%, with the highest rate going to non-affiliate rather than Premium Catalog retail sales. When the book's price is set at $2.99 or higher, the Premium Catalog retailer rate of 60% is the lowest tier, with non-affiliate sales earning progressively higher royalty percentages of at least 74%. Pronoun (pronoun.com). In general, they follow the aforementioned retailers' royalty payment rates, with the notable exception of Nook, which they list as a flat rate of 50% rather than the price-dependent 40% or 65%. (Source: http://support.pronoun.com/knowledge_base/topics/what-are-the-retailers-distribution-fees) In addition, they offer distribution to Google Play, which could be advantageous since Google Play's title setup procedure is clunky and difficult to navigate. Just keep in mind that they tell you that you keep 100% of your earnings (i.e., the net after each retailer has taken its commission), not 100% of the list price. In theory, you could use Smashwords to distribute your 99-cent e-book to Kindle, Nook, and Kobo and earn at least 47% royalty, rather than Amazon's miserly 35%, Nook's 40%, or Kobo's 45%. Or you could distribute via Draft2Digital and get 60% royalties from Nook and Kobo (they do not support distribution to Kindle), or you could give Pronoun a try. Do let me know if you have had success with this approach. I code my own e-books and have vendor accounts for all platforms except iTunes, to whom I distribute using Draft2Digital. There are other publishing platforms out there, such as StreetLib (https://www.streetlib.com/meetstreetlibus/), which takes a 10% commission on author sales over and above what the retail platforms collect. My advice is to read the fine print, and don't go with any outfit that tacks on its own fee on each sale. "Innocent authors are getting burned in Amazon's fight against KU bot farms" (http://the-digital-reader.com/2016/06/17/authors-are-getting-caught-up-in-amazons-fight-against-ku-bot-farms/) by Nate Hoffelder 6/17/16. "Why I refuse to join Kindle Unlimited" (http://blather.michaelwlucas.com/archives/2703) by Michael Lucas, 6/17/16. In short, Amazon is the big boy on the publishing block, knows it, and doesn't care how many innocent (or, as Michael Lucas put it, "low-value") authors they shaft with their automated fraud detection schemes. I have now pulled all my books out of automatic enrollment in Kindle Unlimited. The pittance I receive for participation in that marketing ploy is not worth the risk of having my account deactivated without warning or recourse due to fraudulent activity on someone else's part. Are you frightened enough to pull out of Kindle Select/Kindle Unlimited yet? You should be. Whether or not you set up multiple vendor or third-party accounts for distributing your books is of course up to you, but I will leave you with a parting point to ponder. Since I have many titles in my personal catalog, and many customers who read one of my books and then choose to purchase one or more of my other titles, I prefer to make that hunt easy by embedding product links in my "Other books by" section of each e-book. You cannot do this as effectively if you publish via a middleman like Pronoun. During the upload and verification process, Barnes & Noble will reject any book that contains Amazon links, and so forth. So if you go with Pronoun, Draft2Digital, Smashwords, or another third party for distribution to the major retailers, you have to upload a version that either contains no product links whatsoever, or it contains non-competing links such as Half.com, BooksAMillion.com, Audible.com for audiobooks, and so forth. This approach requires that I maintain retailer-specific versions of each title, which can be a pain when I've published a new book and then have to revisit all the other books to add its link for the appropriate retail platform. However, I've found the exercise to be well worthwhile, especially during a major marketing campaign such as a BookBub feature. Best of luck in all your publishing decisions and ventures! I'm running a giveaway for an e-copy of Raging Sea: Reckonings! On sale for $0.99 via Kindle, Nook, iTunes & Kobo! 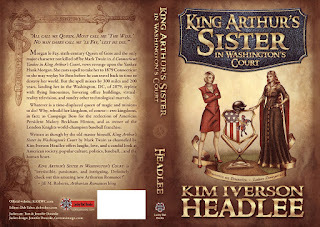 An e-book of the winner's choice by Kim Headlee: Olga and Linda. 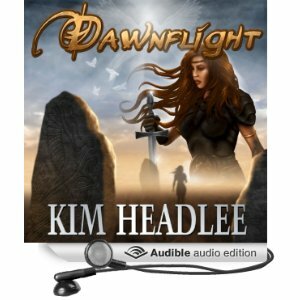 An e-book copy of Dawnflight: Rachael, Barbara, Rebecca, Stephanie, Mandi, Kira, Nicole, Ron, Lisamarie, Krista, Kristin, Emily, Michelle, and Timothy. A print copy of Dawnflight: Ron. 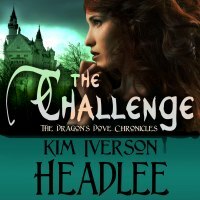 An e-book copy of The Challenge: Robyn, Sascha, Tiffany, Tera, Margaret, Shelley, Kristina, Amanda, Loren, Angel, Jessica, Sabrina, Tonya, Brandon, Talha, Jenny, Lonnie, Teresa, Stacy, Laura, Leanne, Sharon, and Pat. Didn't win this time? 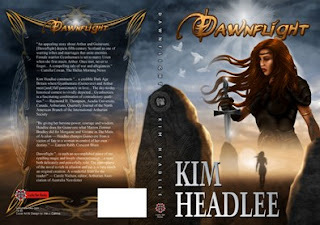 No worries; subscribe to my monthly email newsletter The Dawnflier to be the first to learn about my next giveaway, and receive a free e-book just for signing up! Thus reads the BookBub intro for Snow in July on their Teen & Young Adult page, where they placed it in the #2 slot today. Follow me on BookBub to be the first to hear about my next deal; thanks! on sale now via Kindle, Nook, iTunes & Kobo. Don't delay; snag your copy today! 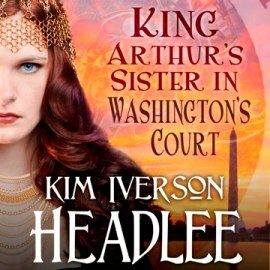 The legendary relationship between King Arthur and his sister Morgan le Fay was anything but sunshine and light, regardless of whether or not an individual author chooses to make them half siblings. My original reasons for giving Arthur and Morghe the same father are buried under decades of life events. More than likely, I was aiming for a more unique family dynamic, since I gave Arthur two older half sisters too. This is a "Pendragon" family structure that no other author of Arthurian fiction has described, to my knowledge. Arthur muses about his mother and all his sisters or their husbands in today's excerpt from Raging Sea. “Did your mother give any clues as to what’s going on?” Bedwyr asked. “No.” And he and Ygraine had discussed the possibilities in great detail while he and First Ala escorted her entourage here from Caerlaverock. 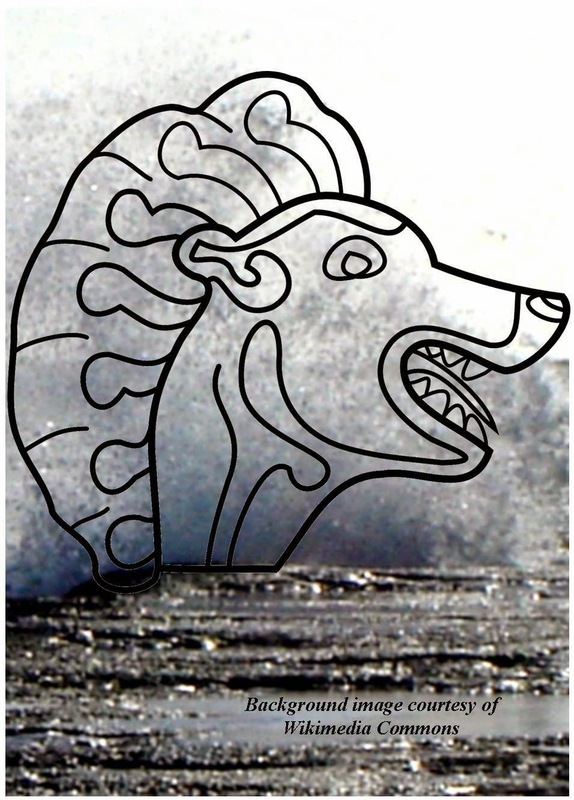 If today’s problem had originated with Clan Cwrnwyll, they’d have been meeting at legion headquarters in Caer Lugubalion. The Caerglas locale also ruled out Loth—whom Arthur did not expect to see this day, since his hands were full with the Angli raids—and Melwas of Caer Gwenion, with whom Arthur wasn’t on the best of terms since Melwas’s youngest son had failed the legion’s initiation test a few months ago. Although Arthur had tried to minimize the shame by extending an invitation for the lad to try again in a year, within a fortnight Arthur received a scathing letter from Melwas complaining about the “insult.” Arthur had let Marcus handle the response; he owned neither the time nor patience for smoothing feathers ruffled by petty grievances. The sobering fact remained that Melwas’s territory could get overrun by an aggressive Angli expansion too, something Arthur wouldn’t let happen no matter who was wearing that clan’s mantle of chieftainship. They reached the praetorium’s double doors, and Angusel and Gawain stepped ahead to open them for Arthur, Bedwyr, and Cato. Arthur pointed a nod of thanks at each as he entered the building. There could be an issue with his brother-by-marriage, Alain, and his wife, Arthur’s older half sister, Yglais. Alain stood to assume the chieftainship of Clan Cwrnwyll after Ygraine and in the meantime governed Caer Alclyd, a modest but strategically placed fortress, along with its shipping business and lands near Caerglas. Arthur paused while Angusel and Gawain shoved open the audience hall’s doors. A problem with Alain didn’t make sense for two reasons: he didn’t have a voting seat on the council and therefore was not empowered to call an emergency session, and Yglais was quite diligent about informing Arthur of important events at Caer Alclyd. 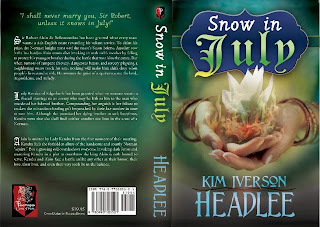 Today is the LAST DAY to enter this great giveaway for Snow in July! Today on The Maze I am pleased to spotlight Dark Brew, a brand-new time travel romance by my longtime author-friend Diana Rubino! or forever be doomed to repeat it. Worldwide release date 22 July 2016 via The Wild Rose Press. [The Maze (TM)]: Where did the story come from? [Diana Rubino (DR)]: This story took 11 years from start to finish. I’m a longtime member of the Richard III Society, and in the spring of 2004, I read an article in The Ricardian Register by Pamela Butler, about Alice Kyteler, who lived in Kilkenny, Ireland in 1324, and faced witchcraft charges. After her trial and acquittal, she vanished from the annals of history. I couldn't resist writing a book about her. [TM]: How did you decide to make it a paranormal? [DR]: I’m a believer in reincarnation, and I go on paranormal investigations whenever I can. I’ve gone on several past life regressions. Cape Cod has a lot of history and paranormal activity. I’ve been on many ghost walks and ghost hunts there. I wanted to connect Alice in the past with someone in the present, her reincarnation. [TM]: Was Alice Kyteler famous in 14th century Ireland? [DR]: Not at all but she was the richest woman in Kilkenny, and for that reason the villagers hated her, especially the men. They accused her of killing her first husband, but she was acquitted. Then they accused her of killing her fourth husband, John LePoer, with witchcraft, the accusations more absurd than those of the 1692 witch hysteria in Salem, Massachusetts. Chancellor Edward de Burgh arrested Alice because her stepsons claimed she had murdered John by casting a witch’s spell with malefecia… and she used the enchanted skull of a beheaded thief as her cauldron. [TM]: Why did you make it a time travel? [DR]: Because my heroine, Kylah McKinley, is a Druid and has done many past life regressions, she knows she’s the reincarnation of Alice. So she has to go back and find out what happened to Alice, because too many weird things are happening to her in this life that parallel Alice’s life. [TM]: Have you ever spoken to Pamela Butler, who wrote the article about Alice? Purchase Dark Brew on Kindle. The Business of Writing: More on Translating Your Book by @OlgaNM and more than one #giveaway! 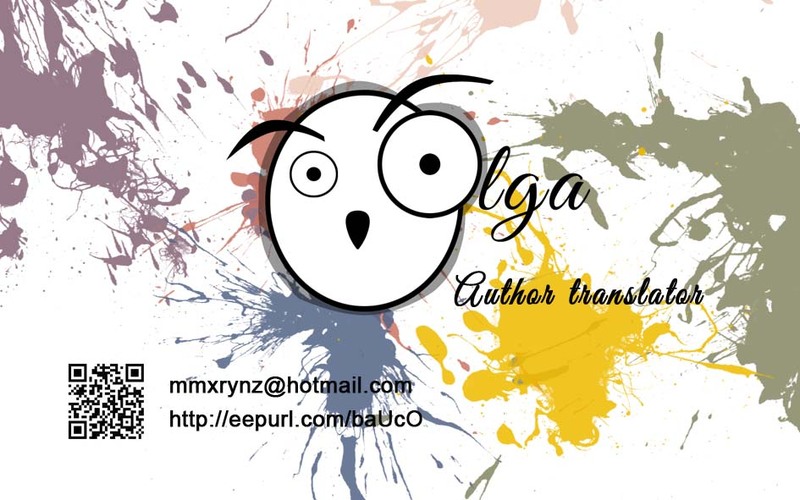 Today I am delighted to welcome back author-friend Olga Núñez Miret for Part Two of translating your books from English to Spanish and vice-versa. Part One may be viewed HERE. Olga translated one of my novellas, The Challenge, into Spanish as EL RETO, and she did a fine job! It can be a judgment call to decide how to approach any given work of translation. There are two concepts that seem to be at war with each other, that of fidelity (equivalent to translating exactly the text, word by word, trying to preserve the style as closely as possible, that tends to be used for certain authoritative texts, like legal texts, religious texts…) and transparency (the creation of a text that nobody would know had been translated from an original and it appears to have been written in that language because it sounds, or reads, very natural). The first results in a literal translation and the second in an idiomatic one. These ideas always remind me of a novel I read years back called Loosely Translated (by Simon Hugh Wheeler, an indie writer who approached me through Goodreads), where the novel of an English writer, whose quality of writing seems to have degenerated as the number of novels in his thriller series increases, is picked up by a Spanish publisher who decides, without reading it, to get it translated to Spanish. 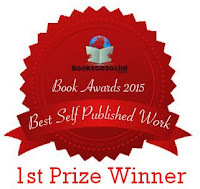 The selected translator is a talented female writer who can’t find a publisher for her books. She can’t believe how bad the novel is and after feeling frustrated by her task, decides to become creative and completely changes the novel. It becomes a great success, and the English writer, who is invited over, can’t understand what the readers are going on about at a Q&A session. Well, I’ll leave you to imagine the rest. Why would anybody want to have their books translated? We all know how big a competition we face to try and sell books. Making it available to a wider audience is always a great idea. In the case of Spanish, it has 518 million speakers across the world, 427M as a native language. It is one of the six official languages of the United Nations. It is also used as an official language by the European Union, the Organization of American States, the Union of South American Nations, and by many other international organizations. These new markets are less crowded. Although the offerings in Spanish are increasing, the number of e-books available in Spanish is much smaller than those in English. And of course there are retailers that will be more interested in Spanish books. One never knows when the chance of pure luck might strike. I know a Spanish writer named Enrique Laso, whose books have been translated to many languages and who told me that although he has no idea why, his books translated to Greek have been great hits there. It’s impossible to know what might strike a chord with readers in a particular market. I’ve read many posts by writers talking about how exciting it is to see your first book published and, in the case of paperback, have it in your hands. Well, I must confess seeing one of my books translated to Chinese made me feel equally excited. I know of authors who are working on the idea of publishing their books in bilingual editions and indeed they might provide a good option for marketing as an aid to language learning. Translation is not a mechanical thing and it requires skills, imagination, a good understanding of both languages, and judgment. There are famous writers who’ve also made a name for themselves as literary translators like Vladimir Nabokov, Jorge Luís Borges and Haruki Murakami. In Canada translators have as big a status as writers and there are awards for translators too. If you’re interested in translations, there are a number of routes that can be followed. Of course there are translation agencies and freelancers, and you can find translators in places like Fiverr or Upwork. There are also options for splitting the royalties of the final text with the translator, available through places like Babelcube (offering translations to a number of European languages) and Fiberread (translating books to Chinese for split royalties). Although there are the machine translators and also useful online dictionaries, I would not recommend using them for anything more than a few lines (and even then it might be a risk). Dryden observed that "Translation is a type of drawing after life..."
The British historian Alexander Tytler, in his Essay on the Principles of Translation (1790), emphasized that assiduous reading is a more comprehensive guide to a language than are dictionaries. (And I couldn’t agree more). You can check some of the books I’ve translated here. As my latest story (a suspense/psychological thriller genre novella) is now free, and it’s the prequel of the series I’m working on at the moment, I thought I’d share it with you. Thanks so much to Kim for having me as guest, thanks to all of you for reading, and keep sharing and smiling. And don't forget to snag your copy of the novella Olga translated for me, El Reto! Today's excerpt from Raging Sea features the first viewpoint scene for Arthur in this book. Normally I would have created a meme to go along with this series of posts, featuring Arthur's totem dragon symbol set against the background of sea spray. However, since I'm still recovering from my previous computer's untimely death, and since I have other commitments this week, I'm going to "cheat" and show you Arthur's dragon as incorporated into the logo of my imprint, Pendragon Cove Press. As for the choice to use Arthur's viewpoint in this book when originally I was planning not to use him or Gyan as viewpoint characters at all, I discovered that the needs of the story would be better served if I jumped into Arthur's head a bit here. Since this is still a work-in-progress, his scenes may end up in the recycle bin when all is said and done. I will make that decision after I complete the entire draft. The Council of Chieftains, the northern Brytoni body that boasted no governing authority per se but which met most often during times of crisis for one or more member clans, possessed no set meeting place. When Ambrosius had held the office of Dux Britanniarum, and clan alliances were as fragile and complex as spiderwebs, the chieftains had agreed to meet at whichever military installation was most convenient for the man requesting the meeting, for the added protection a garrison of neutral soldiers provided. In the early days it could be any garrison, though over time the list of host sites dwindled to the largest installations along the Antonine and Hadrianic walls for convenience of transportation via the centuries-old but well built and maintained Roman roads. From Arthur’s first meeting of the Council of Chieftains—the debacle four years ago that had nigh degenerated into civil war over who would succeed Uther as Dux Britanniarum—he hated attending them. Oh, the meetings’ reasons were valid enough: crop failures, plagues upon people or livestock, assassinations, raids—the latter two sometimes even perpetrated by one member clan against another, for covetousness and greed were not confined to the non-Brytoni races competing for land across the Isle of Brydein. Arthur nodded. This meant Chieftain Bann would officiate, then, rather than being the one presenting the problem. Arthur had all but grown up in Bann’s household, since he and his foster brother Cai had been tutored with Bedwyr as boys, and he knew the man to be a pensive, cautious leader whose devotion to a cause was unyielding and absolute once he decided to join it. In fact Bann had had more to do with Arthur’s election to the Pendragonship than any other man present. Perhaps this meeting of the Council of Chieftains wouldn’t be so tiresome after all. The best marketing content offers potential customers a way to buy the product straight off the advertisement, and the Quick Response (QR) code is a great way to capture those impulse buys. A QR code (sample pictured, left) is a specialized bar code readable by smart phones. The bar code can contain text, URLs, email addresses, telephone numbers, or any other alphanumeric data. The smart phone must have a QR reader app installed, and there are several good, free apps available for iPhones, Android devices, and other types of smart phones. My reader of choice is the "QR Droid" app. A QR code will never expire as long as the associated link remains active. 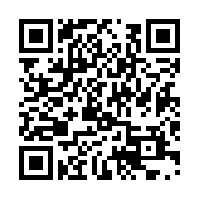 Even more plentiful are the web sites that pop up when you perform an Internet search on "free QR code generator". My favorite free QR code generator site is QR Stuff. Here you can enter any URL—for example, your book's worldwide Amazon link created via Booklinker.net or other such service, or the Audible link to its audiobook edition—and the site will display the bar code for you to download and use. There are some book-specific QR code generator sites, such as Relinks.me, but they are limited to products in the Amazon retail catalog, and they will append their Amazon affiliate ID to your book's URL. If you don't have an Amazon affiliate ID, then using Relinks.me will save you the step of creating a worldwide link prior to requesting its QR code, but you won't be able to set up QR codes for your book's Nook and other e-tailer product pages. The QR Stuff site offers a subscription service if you want specialty items such as scalable graphics, or if you believe your dynamic (i.e., link-shortened) QR codes will receive more than 1,000 user scans per month. If all you're doing is setting up a static link to, say, your book's Kindle product page, then no limits apply to either the creation or use (scanning) of the free QR codes. If you want to get fancy, you can embed your own branding graphic, but if you don't want your customers to be subjected to the company's ads, the ad-free version (via visuallead.com) costs a minimum of $6.25/month. 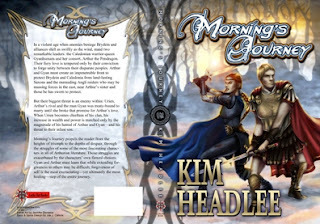 I thought I might try embedding my imprint graphic for Pendragon Cove Press but decided that the cool factor wasn't worth the monthly subscription cost, and I had no intention of submitting anyone to the extra advertising. The output of sites such as QR Stuff and Relinks.me is either a JPG or PNG file that may be embedded in any other image, email, web site, or publication. 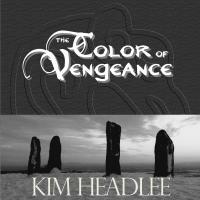 I have placed QR codes on promotional postcards and inside teaser booklets, in the backmatter of my free print editions of The Challenge and The Color of Vengeance, and even on designs uploaded to DiscountMugs.com for screening onto tote bags. In every case, the key is to make sure there is a high contrast between the QR code graphic and its surrounding background; otherwise, the scan will need to be done in the brightest possible lighting conditions or else it might not work. If you can design it, you can QR code it! Today on The Maze I am honored to present the "reverse" time travel romance by Diana Rubino, For Love and Loyalty. Can a 15th century king and a 21st century woman find love and rewrite the past, or will time tear them apart? Time travel has always fascinated me, and this story had a strange birth: my long-time critique partner Bonnie and I were tossing around ideas for my next book, and she asked me to picture Richard III in modern times blow-drying his hair. The rest is history! England, 1476: A wizard’s charm sweeps Richard, Duke of Gloucester far, far away. England, 2014: The Richard III Society’s annual séance doesn’t go quite as planned. Julianna Hammond believes their mysterious visitor really is Richard. As a loyal Ricardian, she feels obligated to educate him on past and present. In dismay Richard learns of his destiny in a certain battle, and his depiction in a certain play. Julianna and he wonder: can history be rewritten? 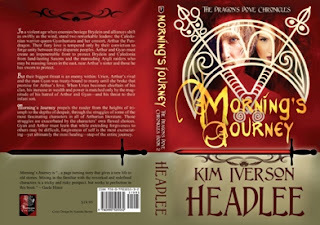 Back in the Middle Ages, Richard’s brothers King Edward and George Plantagenet are determined to find him­-wherever he is­-with the help of a little magic conjured up by a wizard. Since the wizard can’t say no to money or a lady, Edward-infatuated Elizabeth Woodville isn’t far behind them. Changing one’s destiny is complicated. So is falling in love. When the two collide, three brothers, three women, and history will never be the same. “Come here, Julianna.” The way he opened his arms to her, she couldn’t refuse. One warm embrace can’t hurt. But once she was in that embrace, and his lips sought hers, it felt as natural as breathing. He kissed her lovingly, gently and thoroughly. Stopping him would be as wrong as telling the sun not to shine. Her heart beat the same primitive tattoo as the music surrounding them. When his hand slid to her breast, she knew she had to take charge or nature would. “Richard—” She hadn’t meant to sound so whispery, but her voice was nowhere to be found. She cleared her throat. “We can’t get involved. It’ll be too much heartache if something happens and you get sent back.” She wondered how convincing she really sounded, with her fingers still wound through his hair and her body half pressed up against his. 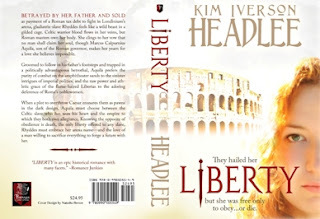 “Doesn’t he take no for an answer?” Her hand still played through his hair. “I wonder if you can go back by sheer force of will. Our minds are so much more powerful than we think.” A jumble of thoughts entered her head and vanished. This wasn’t the time to ponder telekinesis, as he tickled her earlobe and ran his thumb over her bottom lip. All she could do was close her eyes and let the exquisite sensations take over. She instinctively moved closer. Their bodies touched, his skin against hers. One more kiss, just one more of those delicious warm kisses, and I’ll call it a night, she convinced herself. Their lips met. Life is messy. No one knows that fact better than a soldier. Miscommunication, bad intelligence, changing alliances, and sometimes even acts of God or nature can conspire to send battle plans awry. The campaign referenced in today's excerpt from Raging Sea had its aborted start in Morning's Journey when a plague ripped through Arthur's legion and left him without enough forces to complete his objectives. Now, a year later, he is finally ready to resume that campaign. Angusel knew that voice, and fought the sudden churning of his gut as he turned Stonn to face the newcomer. Angusel recalled that the campaign had almost launched prematurely on an unconfirmed report, which could have caused a military disaster. 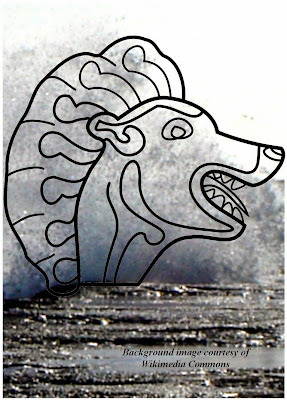 The Pendragon’s Angalaranach campaign hadn’t resumed before now because the legion was still rebuilding after last year’s widespread and debilitating pox, and the Saxon attack on Maun. “First Ala stays to defend headquarters, sir?” Although the centurion made an obvious effort to maintain a level tone, Angusel detected the note of disappointment, and shared the sentiment. That had been part of last year’s plan too. Arthur opened his mouth, but whatever answer he would have given was forestalled by a courier approaching them at a full gallop. The optio reined his mount just shy of plowing into them, dipped a hand into a pouch slung across his chest, pulled out a small, wax-sealed parchment leaf, and thrust it toward the Pendragon.